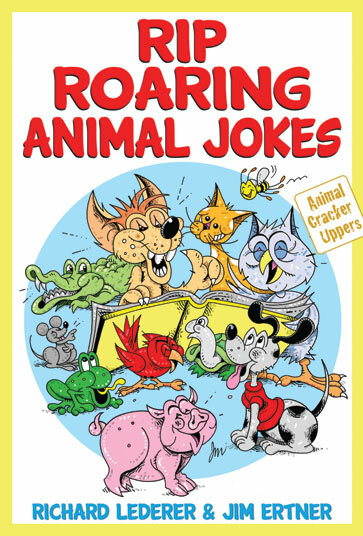 Celebrating one of children’s favorite forms of comedy, this series offers a wide array of animal-inspired amusement. Each book begins with a dictionary of jokes and riddles, highlighting dozens of different species in alphabetical order. The second part is arranged by classic clusters such as knock-knock jokes, rhymes, “daffynitions,” and even jokes overheard in restaurants. From aardvarks and baboons to yaks and zebras, these entertaining compilations are also accompanied by a variety of engaging and humorous illustrations. James Ertner is a naval architect and the author of Super Silly Animal Riddles. He lives in Greensboro, North Carolina. Richard Lederer is the author of more than 35 books, including Anguished English, Crazy English, Get Thee to a Punnery, More Anguished English, A Treasury for Cat Lovers, and A Treasury for Dog Lovers. He lives in San Diego. They are the coauthors of Super Funny Animal Jokes and Wild & Wacky Animal Jokes.